← How to edit pdf title and subject? How to convert Word to tif using Document Converter? If you have not known how to convert the word to tif in a second, please read this article. 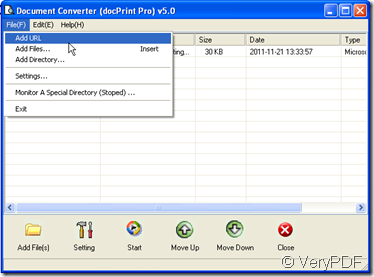 I will show you how to convert word to tif by docPrint in a second. docPrint is a Windows printer driver that saves ink, paper and time by controlling printed output, it supports print 2, 4, 6, 8 or 16 pages on a single sheet of paper, it also supports scale A0, A1, A2, A3 papers to standard Letter or A4 paper sizes. 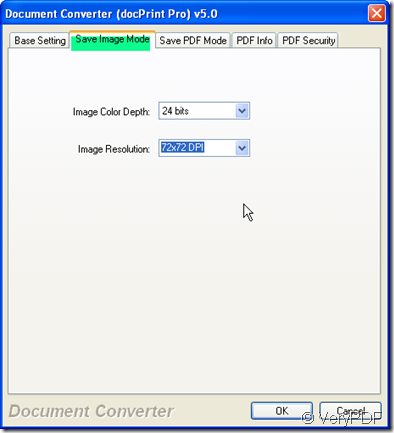 It is also a Document Converter, it converts any printable document to 50+ graphics, it may be a Microsoft Word file, Adobe PDF file, HTML file, Excel file and others, and Document Printer (docPrint) supports various image formats, resolutions and compressions. Please see the detail steps for the conversion from word to tif by docPrint. I have putted some of functions of docPrint in the above paragraph，if you want to know more about it, please visit its homepage here: http://www.verypdf.com/artprint/index.htmlIf you feel it is good to tackle your problem, you can download the free version to have a try. After trying, you can buy the version you need. Add word file to docPrint. When you see the icon of this software show up on the desktop, double click it then you will enter the interface of this software. Add your word file to it. I will take a word file for example. In the future, if you need convert the file on the website to tif file, please click the help menu on the top then go to “Add URL” option. By this way, you can also convert the word document on the website. Set the limitations for tiff file. As we want to convert the word to tif, we should choose the output format as tif by click the button “Setting”. Then choose it at the first menu label “Base setting”. If you want to set other limitation for your tiff file, you can also make it here. 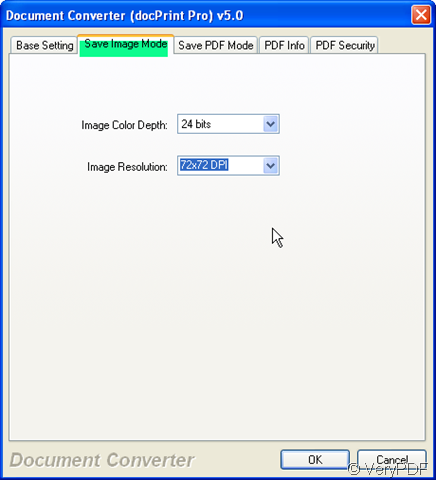 Say you can set the tif file color depth and image resolution at “Save image mode”. If you have finished the setting for tiff file, please click ok to end setting. If you have finished the setting, please click “Start” button to finish the conversion. If you do not appoint a folder to save the tif file, now in this step, you have to choose a folder to save them. A few seconds later, you will get the tif file in your chosen folder. This entry was posted in docPrint Pro and tagged docPrint, word to tif. Bookmark the permalink.